Humanity has turned Earth into a giant trash pile. The Environmental Protection Agency estimates that Americans alone produce on average 4.3 pounds of trash each day. Multiplied by 318.9 million people, that’s a lot of trash landing up in the country’s landfills. If there are about 3,500 active landfills in the United States, just one country, think about how many formal and informal landfills there are globally, leaching all kinds of nasty chemicals into ground and surface water supplies and emitting methane gases. It’s a daunting thought. But there is good news. As our knowledge of managing waste improves, we are learning to turn trash into a resource. For example, many landfill sites convert methane emissions into clean energy and many retired landfills have been safely rehabilitated into thriving public parks that reveal nothing of their trashy history. We have rounded up a list of 8. Prepare to be amazed by the transformation. Talk about turning trash into treasure. 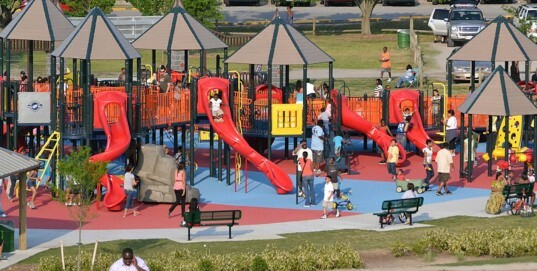 The satirically named Mount Trashmore went from a devastating brownfield to becoming Virginia’s most popular park, with a children’s playground and a world-famous skate park. Tony Hawk, among several other professional skateboarders, have glided through its 24,000-square-foot skate park in front of packed crowds, and the park itself attracts over one million visitors annually. Situated upon mounds of compacted trash and topped with a layer of clean soil, its lush areas span upwards of 165 acres, with massive hills that stretch 60 feet high and cover over 800 feet of ground. 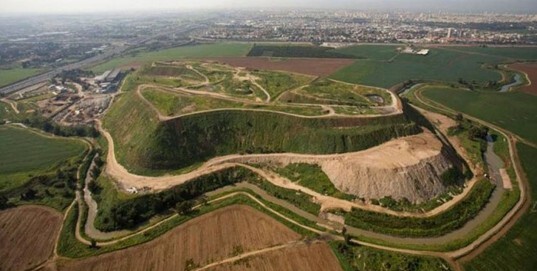 Tel Aviv’s former landfill, called Hiriya was a horrifying mountain of garbage that was know affectionately to locals as “Sh!t Mountain”. This notorious garbage dump hit its limit in 1998 after reaching 25 million tons of waste. After that the facility was finally shut down and an international competition was held to prevent collapse of the waste into the Ayalon riverbed and resurrect the land into what is now the centerpiece of Ariel Sharon Park. Landscape architect and urban planner Peter Latz conceived a plan to protect vegetation from the underlying contaminants, inventing a bioplastic layer that inhibits methane from reaching the surface. 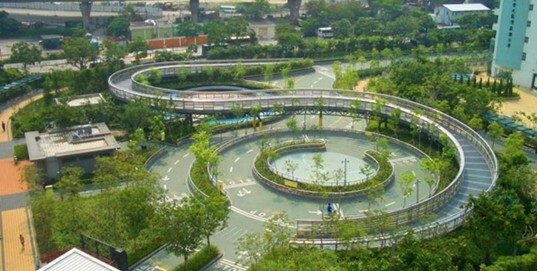 Sai Tso Wan’s multipurpose playground was the first of its kind to be constructed from a landfill in Hong Kong. It is also one of the greenest spaces in the region, hosting solar panels, wind turbines, rainwater irrigation, and recycled porous Rubbersoil. Its also the official training grounds of the Hong Kong Baseball Association. 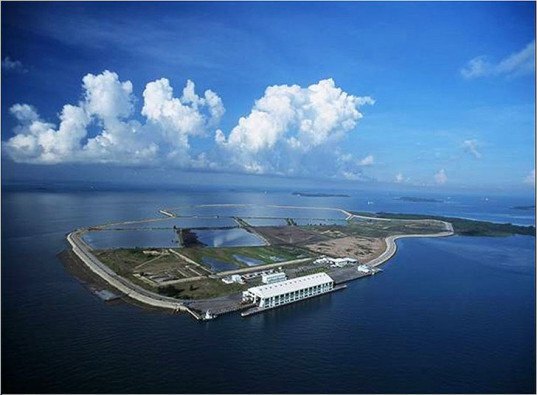 Although Pulau Semaku is still a fully functioning landfill, and Singapore’s only landfill to boot, it was opened to the public in 2005 for selected recreational activities and still maintains bounds of vegetation in its surroundings areas. Perhaps the most fascinating aspects of Pulau Semaku are its thriving coral reefs and mangroves. Conscious and consistent efforts have been made to replant and maintain the existing reefs, flora and fauna, and wildlife continues to thrive in the site’s mangroves and western shorelines. 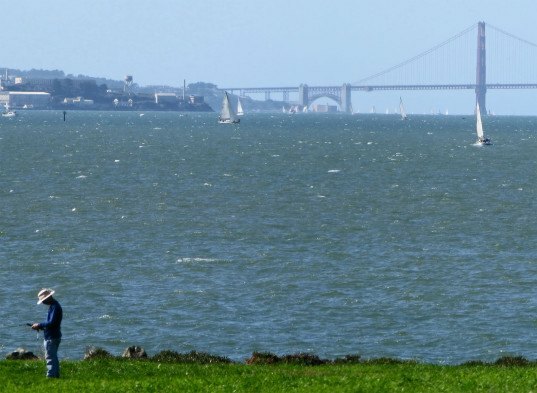 César Chávez Park is a waterfront hillside retreat off the coast of the San Francisco Bay, with spectacular views of the Golden Gate Bridge, Alcatraz, and Angel Island off in the distance. Its long stretches of grassy fields make it a premier area for kite flying and frisbee, with thousands attending the Berkeley Kite Festival at César Chávez every July. From hiking trails to a full-on wildlife sanctuary, the once dilapidated mountain of trash that existed in the 1950’s has now become a focal point of San Francisco culture. Port River Sunlight Park is a rehabilitated riverside park that was brought to life on the UK’s Wirral coast. After 15 years as a landfill, landscape architecture firm Gillespies designed 70-acres of thriving community woodlands with over 12,000 trees. With views overlooking the Liverpool skyline and public access to the River Mersey, the sanctuary has become home to abundant wildlife, wildflower meadows, grasslands, and wetlands. New York’s world famous Flushing Meadows-Corona Park is the second largest park in the city, and most notably known for hosting the 20th century World Fairs as well as the US Open in tennis every year, but did you know that it was once a landfill? Moreover, before it was a brownfield it was originally a natural marshland that fed into Meadow Lake, the largest freshwater lake in New York City. Although it’s a bit disheartening to know that the area was once a wetland, the comeback to its current purpose is thoroughly inspiring. 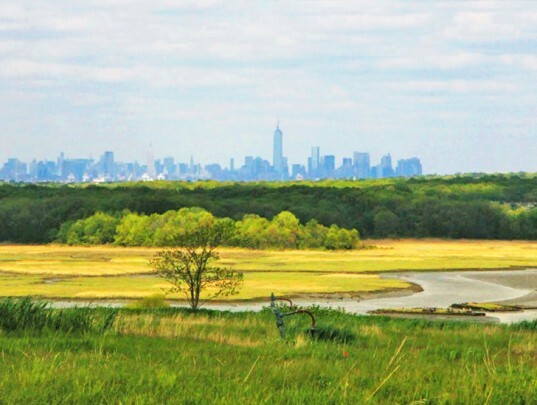 In what may be the most inspiring transformation of them all, Freshkills Park is currently in transition from being the largest landfill in the entire world to a stunning 2,200 acre park, the largest park in all of New York City’s boroughs. Its dramatic transformation began in 2008 and is still undergoing construction, with an estimated completion in 2035. The landfill originally opened in 1947, and by 2001 it was predicted that if the operation continued, the garbage heap was destined to become the highest point on the East Coast. Plans are now in place for a multitude of recreational, educational and athletic resources, not to mention a 46-acre solar array with the capability of powering 2000 Staten Island homes. Large landfills become parks... Interesting, a good reminder of the power we have to overcome some rather cumbersome sustainability challenges. Landfills are notorious for being stinky, disgusting and unsightly, but where do you think your garbage goes when you throw it in the trash? The more trash we throw out, the more landfills are needed around the world. Fortunately, with some ingenuity, landfills can be converted into something useful at the end of their functional life. 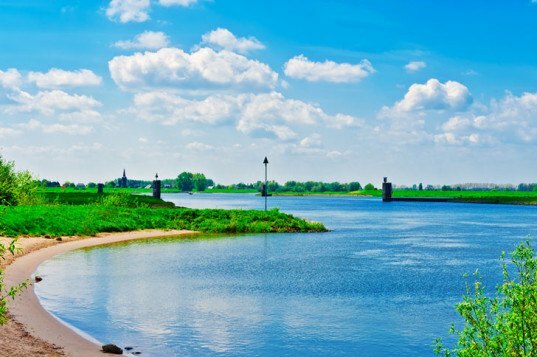 Here are eight stunning public parks that were once some of the world's most disgusting landfills. Prepare to be amazed at the transformation! Talk about turning trash into treasure. The satirically dubbed Mount Trashmore went from a devastating brownfield to becoming Virginia's most frequented park. Tony Hawk, among several other professional skateboarders, have glided through its 24,000-square-foot skate park in front of packed crowds, and the park itself attracts over one million visitors annually. Situated upon mounds of compacted trash and topped with a layer of clean soil, its lush areas span upwards of 165 acres, with massive hills that stretch 60 feet high and cover over 800 feet of ground. Ariel Sharon Park - formerly known as "Trash Mountain"
This notorious garbage dump outside Tel Aviv called Hiriya was a horrifying mountain of garbage hit its limit in 1998 after reaching 25 million tons of waste. After that the facility was finally shut down and an international competition was held to prevent collapse of the waste into the Ayalon riverbed and resurrect the land into what is now the centerpiece of Ariel Sharon Park. Landscape architect and urban planner Peter Latz conceived a plan to protect vegetation from the underlying contaminants, inventing a bioplastic layer that inhibits methane from reaching the surface. Sai Tso Wan's multipurpose playground was the first of its kind to be constructed from a landfill in Hong Kong. It is also one of the greenest spaces in the region, hosting solar panels, wind turbines, rainwater irrigation, and recycled porous Rubbersoil. Its also the official training grounds of the Hong Kong Baseball Association. Although Pulau Semaku is still a fully functioning landfill, and Singapore's only landfill to boot, it was opened to the public in 2005 for selected recreational activities and still maintains bounds of vegetation in its surroundings areas. Perhaps the most fascinating aspects of Pulau Semaku are its thriving coral reefs and mangroves. Conscious and consistent efforts have been made to replant and maintain the existing reefs, flora and fauna, and wildlife continues to thrive in the site's mangroves and western shorelines. César Chávez Park is a waterfront hillside retreat off the coast of the San Francisco Bay, with spectacular views of the Golden Gate Bridge, Alcatraz, and Angel Island off in the distance. Its long stretches of grassy fields make it a premier area for kite flying and frisbee, with thousands attending the Berkeley Kite Festival at César Chávez every July. From hiking trails to a full-on wildlife sanctuary, the once dilapidated mountain of trash that existed in the 1950's has now become a focal point of San Francisco culture. Port River Sunlight Park is a rehabilitated riverside park that was brought to life on the UK's Wirral coast. After 15 years as a landfill, landscape architecture firm Gillespies designed 70-acres of thriving community woodlands with over 12,000 trees. With views overlooking the Liverpool skyline and public access to the River Mersey, the sanctuary has become home to abundant wildlife, wildflower meadows, grasslands, and wetlands. 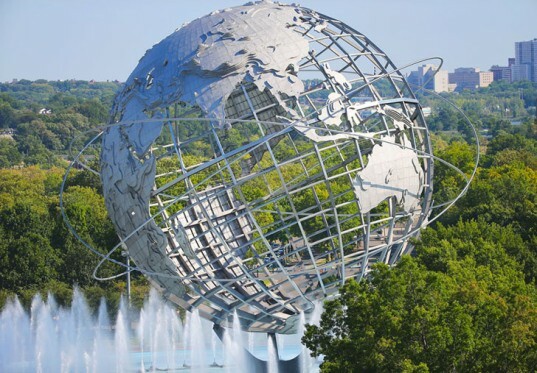 New York's world famous Flushing Meadows-Corona Park is the second largest park in the city, and most notably known for hosting the 20th century World Fairs as well as the US Open in tennis every year, but did you know that it was once a landfill? Moreover, before it was a brownfield it was originally a natural marshland that fed into Meadow Lake, the largest freshwater lake in New York City. Although it's a bit disheartening to know that the area was once a wetland, the comeback to its current purpose is thoroughly inspiring. In what may be the most inspiring transformation of them all, Freshkills Park is currently in transition from being the largest landfill in the entire world to a stunning 2,200 acre park, the largest park in all of New York City's boroughs. Its dramatic transformation began in 2008 and is still undergoing construction, with an estimated completion in 2035. The landfill originally opened in 1947, and by 2001 it was predicted that if the operation continued, the garbage heap was destined to become the highest point on the East Coast. Plans are now in place for a multitude of recreational, educational and athletic resources, not to mention a 46-acre solar array with the capability of powering 2000 Staten Island homes. Humanity has turned Earth into a giant trash pile. The Environmental Protection Agency estimates that Americans alone produce on average 4.3 pounds of trash each day. Multiplied by 318.9 million people, that's a lot of trash landing up in the country's landfills. If there are about 3,500 active landfills in the United States, just one country, think about how many formal and informal landfills there are globally, leaching all kinds of nasty chemicals into ground and surface water supplies and emitting methane gases. It's a daunting thought. But there is good news. As our knowledge of managing waste improves, we are learning to turn trash into a resource. For example, many landfill sites convert methane emissions into clean energy and many retired landfills have been safely rehabilitated into thriving public parks that reveal nothing of their trashy history. We have rounded up a list of 8. Prepare to be amazed by the transformation.